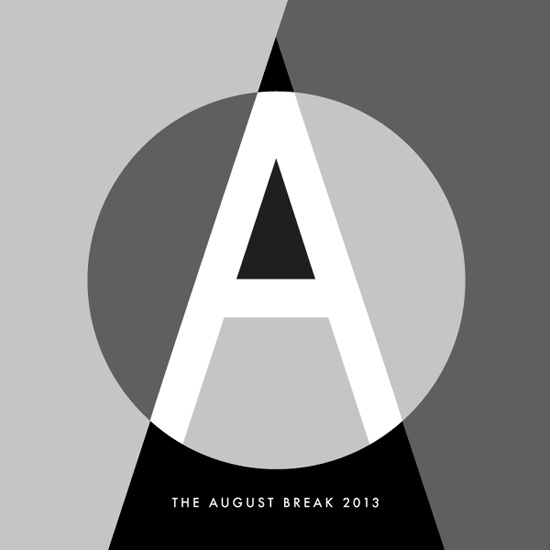 During the month of August I will be taking part in The August Break 2013 hosted by Susannah Conway. 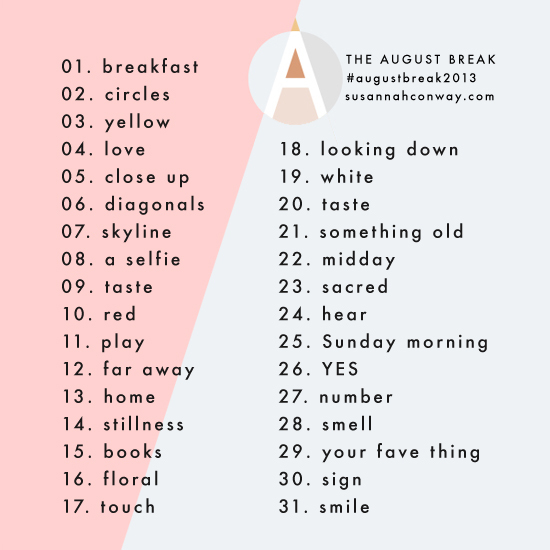 Each day during the month of August I'll be posting a different picture to the blog and Instagram with words or not. I've always wanted to participate in a picture a day type thing like this so when I saw it over on Pugly Pixel I knew I had to join in. 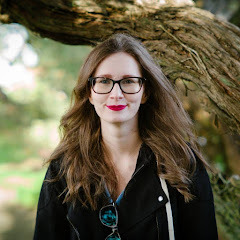 Here is the link to the original post and if you want to join in or just follow along head over to Susannah Conway's blog! Here is the list of daily prompts, I will more than likely be sticking to this list but who knows I might deviate a bit if I run into something really cool. I love this!!! I think I'll join in with you! You could totally still do it even if you only do a few there really aren't any strict rules about it :) I think I'm going to DL the blogger app to my phone so I can post em up more quickly and easily.